The three tiered steps of this marble surround gives it a stunning effect, displayed in rigel but the possibility for pure white micro marble adds a sense of contemporary style. Downlights add an extra wow factor to this marble fireplace whatever colour is chosen. 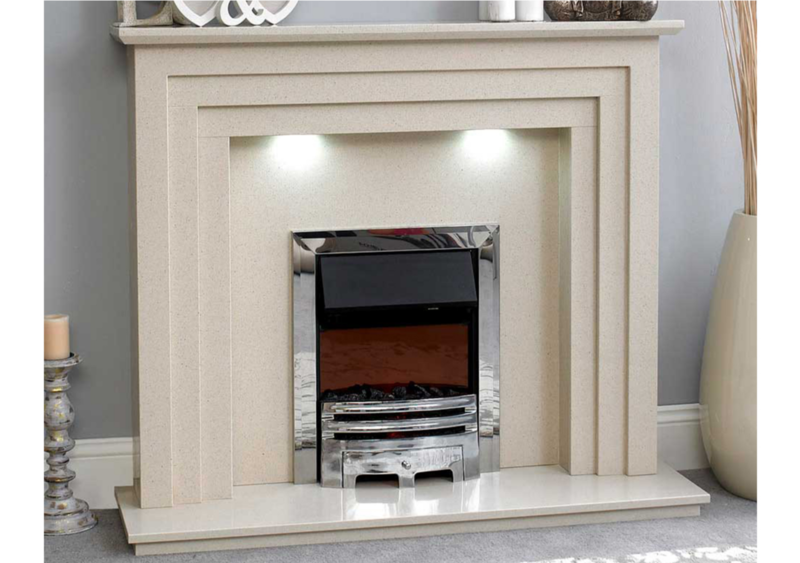 A perfect marble fireplace for any of our Inset Gas Fires and Inset Electric Fires.